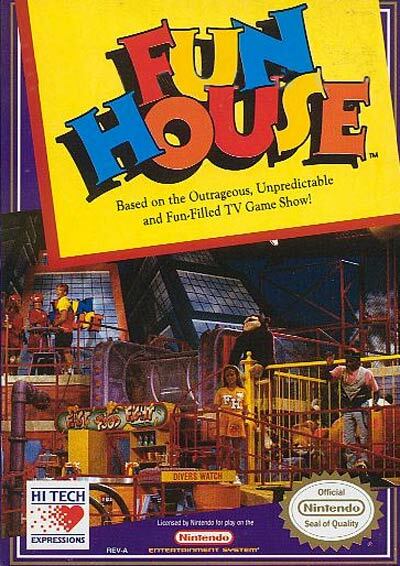 Fun House is a NES action video game which is based on the TV show Fun House and plays like a child's version of The Running Man. In order to make it to the next level, the player must make it from the starting line to the finish within the time limit, like a top view version of Pole Position with a young child on rollerblades rather than driving a car in an overhead view. Otherwise, the player loses a life and you must start the stage over again.